Ngee Ann Polytechnic Consumer Co-operative Society (NP Co-op) is a co-op in Ngee Ann Polytechnic, Singapore. 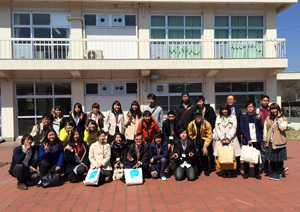 A total of 14 students and staff visited Kyoto in 23-28 March 2015 to learn about Japanese university co-operatives. 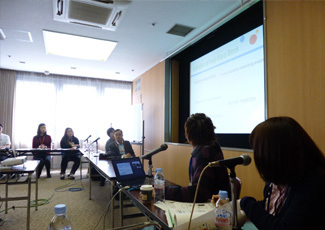 In 25-26 March, students and staff of Keiji-Nara Block carried out exchanges with NP Co-op. Students from the Peace, International Exchange and Disaster Prevention Promotion Committee, Nara University of Education Co-op and Nara Women's University Co-op presented about the activities of Japanese university co-ops. Students from NP Co-op raised many questions about the management of university co-ops. 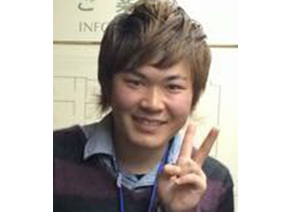 The discussion was an opportunity of learning even for Japanese students. In addition, through interaction with students from other countries, Japanese students were able to understand the needs of foreign language learning and the fun of communication in foreign language. This visit has served as an intellectually stimulating environment.